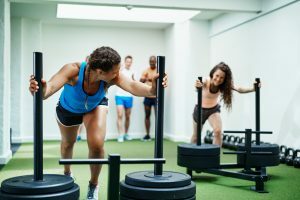 Signing up for a gym membership and actually showing up to workout is a huge enough hurdle for many people new to the gym. Once you get there and see how many options there are, it can be overwhelming and difficult to know where to start. Copying your neighbor or friend can be tempting, however more often than not you’re not going to be at the same fitness level as the person you’re mirroring, which can lead to over exertion or even injury. 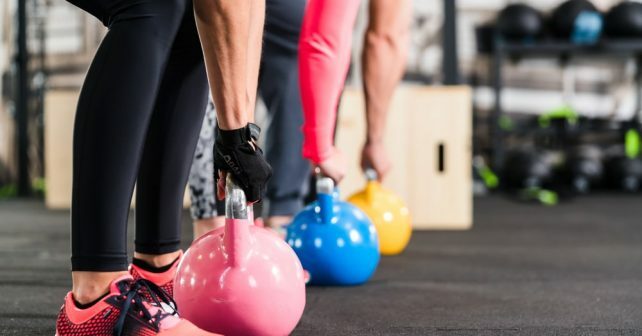 The first step to avoid a mistake is to have some background knowledge about the gym before you get there, and some of the most common mistakes newcomers make while working out. The first time you step foot in a gym and are ready to exercise, you are going to have a tremendous amount of energy. You are going to want to go as hard as you can, because the more effort you put in, the better the results you are going to get. While this may be true, you have to be able to exercise to see results, and over exerting yourself isn’t going to do you any good. Putting too much effort in at the gym can you leave someone exhausted to the point where they don’t even want to do anything else during the day, giving us an excuse to not exercise the next time around. The best way to approach exercise if you are new is to start slow, and to gradually increase the intensity of the exercise as you progress. Consistently working out is the key to staying fit in the long run, and tiring yourself out certainly isn’t going to get you there. Going to the gym with a friend is a great way to stay motivated and dedicated to your routine. A problem can occur when we are new to the gym and try to emulate our friend if we aren’t at the same fitness level. If you see your friend pressing 200 lbs, it doesn’t mean that you have to, and don’t feel ashamed by removing some plates and lifting less weight. It may be intimidating being surrounded by so many people who can lift more weight than you can when you are first new to the gym, and you may even think that these people think less of you. The truth is that everyone has been in your position at least one point in their lives, and most people aren’t even going to be paying attention to you anyway. Focus on consistently improving your own lifts, which can keep you motivated for the long haul. Improvement at the gym takes time, which can be extremely difficult to notice from day. This is especially true when it comes to visible changes in our physique, something that can be very frustrating and demoralizing. You have to accept that you aren’t going to see a noticeable change in your appearance in even a month’s time in some cases, so keeping track of other milestones can help to keep you motivated. Keeping a journal of what you’re doing at the gym may just seem like another tedious unwanted addition to your workout routine, but tracking your progress can show you just how far you’ve come. This means keeping track of not only just how much weight you’re lifting and how many times you’re lifting it, but other relevant factors as well. Keeping track of what you eat, the intensity of your exercises, and your general health can help to determine the cause of pain, soreness or an injury should you experience one. What qualifies as the “right food” to eat before you workout is going to vary from person to person. What you prefer may even change as you progress further towards your fitness goal, so approach this problem with some trial and error. More often than not, it is a good idea to have at least something to eat prior to exercise. Typically when we do this we have a huge energy crash at some point during our exercise, not allowing us to get as much out of the work out as we’d like to. The best pre-workout meals are ones which have a good balance of protein, fiber, complex carbohydrates, and healthy fats. Carbohydrates and fats are going to provide us with the energy to get through the exercise without a crash. Proteins and fiber are the elements which are going to stave off hunger, filling us up and keeping us full. With the abundance of free information out there as far as exercise is concerned, more and more of us are going to the gym thinking we are prepared without actually consulting someone who knows what they are doing. There are plenty of excellent sources of information out there when it comes to exercise, however there are just as many, if not more which contain misinformation. Having a trainer not only can help you in choosing the right exercises to do, they are also are great to have around to help you maintain proper form and posture throughout exercise as well. Mirrors can only help you so much as far as watching your form is concerned, and having a pair of expert eyes guiding you certainly helps. Stretching can seem like a complete waste of time, especially for those of us that rarely if ever get injured. Stretching not only before, but after exercise becomes increasingly important as we age. As we age the elasticity and flexibility of our muscles, ligaments, and tendons deteriorate, making them more prone to becoming injured. Stretching is one of if not the most effective way in which we can avoid hurting or injuring ourselves during exercise. If stretching is good enough for professional athletes, it should be good enough for everyone else to do as a part of their regular routine prior to, and after exercise. Stretching is not only going to protect you from getting hurt, it is also allows the muscles to perform better, in lifting more weights. Whether it be for injury prevention or to improve performance, stretching should be something that you do regularly, every time that you exercise.